It looks like the financial saga surrounding Morris Brown College is about to come to an end. 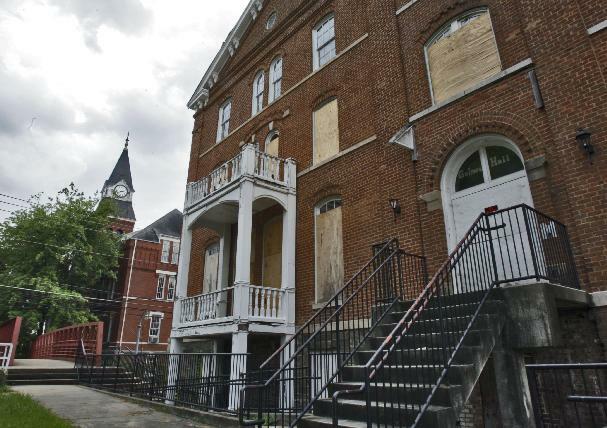 The once illustrious Historical Black College and University is facing foreclosure according to a report by the Atlanta Journal-Constitution. The school has gone from its heyday of about 3000 students to only 50. Witnessing the demise of a school that was founded by former slaves in order to educate the children of slaves is very heartbreaking. May the school should have taken Tom Joyner up on his offer to take over the school a few years ago. Maybe he could have turned it around and this situation could have been avoided. We will never know. Let this serve as a reminder to you. If you had the privilege of attending an HBCU (like I did), please make sure you send money back to your school. It may seem like an inconvenience, but trust me, it's worth it. If you want your institution to stay around for the next generation, you have to do your part. I just setup and automated payment for my school. So every time I get paid, my school gets paid. FAMU all day baby! We forget that it takes money to get things done. We are so socialized against "paying tithes" that we allow our institutions to fall right before our eyes! But if they ask us for money, we fast to call them crooks and cheats. Black folks mindsets are jacked up all day long. Thanks, Savvy Sista for paying a portion to your alma mater. If each alum paid a small portion, then there would be no fears of foreclosure on our institutions. Imagine if 3000 people paid $10 a month to Morris Brown, and taught their children the same?